It’s almost impossible to cook food without spices. They add life to foods. Naturally, most households have their kitchen shelves filled with all sorts of spices. When trying a new recipe, tofu, for example, you want to have all the ingredients and spices ready. Browsing through the spices in the grocery store you are compelled to buy the entire jar of say ground cloves when you only need a ¼ teaspoon worth. Well, you obviously have no choice but to buy the entire jar. Also, plenty of spices in the grocery store shelves may not be as fresh so they probably will not deliver the desired taste for your recipe. When the goal is sweet spices, try buying whole spices and herbs and grind them yourself. Any kitchen pantry will not do without the basics- onions, garlic, sea salt, and pepper. In our discussion, we’ll talk about various kinds of herbs and spices and their health benefits. The smell of cinnamon is simply out of this world. It has such a unique fragrance that is often used by companies manufacturing candles, toilet fresheners, and even body lotions. Often used in cakes, rice puddings, and fruit desserts, the spice is also used in Middle Eastern and North African dishes and in spicing up lamb. This warm spice is available in sticks that are ground to powder. Apart from its versatility in sweet foods, cinnamon has lots of health benefits as well. It helps regulate blood sugar levels especially in patients suffering from Diabetes Type 2. 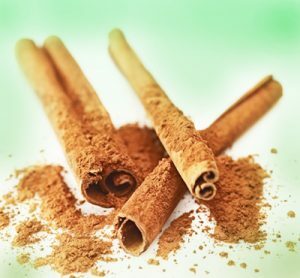 A chemical found in cinnamon (Cassia) can help fight against fungal (yeast) infections. It also reduces the negative effects of eating foods rich in fats. Antimicrobial compounds found in cinnamon have proved to treat and heal chronic wounds. It’s one of those special occasion spices but when used it adds such as distinctive taste. You have probably felt it in tea or coffee. Often used in Indian dishes, cardamom is commonly added in bread, apple pies, and Danish pastries. Ground cardamom has this unique smoky flavor. The essential oils in cardamom help relieve acidity by increasing the amount of saliva and strengthening the lining of the stomach. This exotic spice contains anti-oxidant chemical compounds that promote health. It has therapeutic properties used in traditional medicines such as antiseptic, stimulants and expectorant. 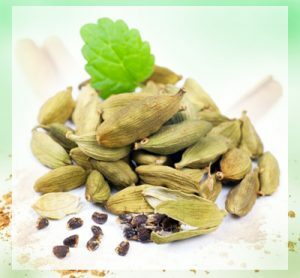 Cardamom is an excellent source of calcium, magnesium, and potassium. In its natural form, it’s a smooth tiny nut the size of a peach pit. Whole nuts tend to have more flavor. Ground nutmeg is great in soups with tomatoes, egg dishes, chicken, and green veggies. It is used as an anti-inflammatory and anti-microbial agent. It is an excellent source of potassium, copper, iron, and zinc. In ancient times, the Chinese used it to treat nervous and digestive systems. 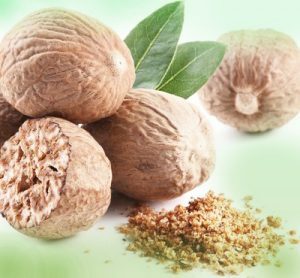 Nutmeg oil is also used in dentistry to relieve pain from a toothache. Bay leaves are grown in the Eastern Mediterranean countries. Dried bay leaves have a sweet, herbaceous floral note. It is used in soups, sauces as well as various kinds of fish and meat. Bay leaves help improve digestive health. 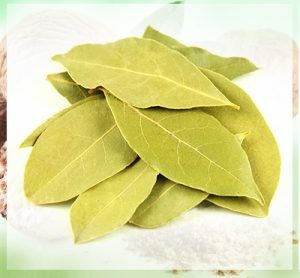 The organic compounds in bay leaves help calm upset stomachs and soothe irritable bowels. Unique enzymes in bay leaves help improve digestion. Essential oils extracted from bay leaves and mixed into a salve can be applied to the chest to reduce any respiratory conditions. It is used in aromatherapy sessions. Inhaling the vapors can help alleviate any bacteria trapped in your respiratory tracts while relaxing your mind. It is also used as an anti-inflammatory agent. Bay leaves contain a unique nutrient-parthenolide that reduces inflammation and irritation when applied to affected areas. A berry grown in a bunch of grapes on the pepper plant is processed to produce three types of pepper – black, green and white. Black pepper is the strongest. It is slightly hot with lots of flavors. 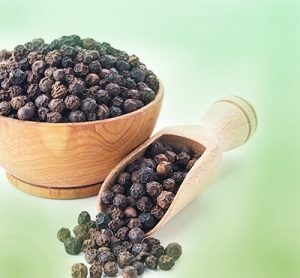 Naturally, freshly ground whole peppercorns deliver more flavor compared to pre-ground pepper. Pepper goes well with fish, eggs, cheese, pork, soup, steaks, and poultry. Pepper facilitates digestion by increasing the production of hydrochloric acid. When added to a person’s diet it prevents the formation of intestinal gas. It aids in weight loss. The outer layer of peppercorn assists in breaking down fat cells. Pepper has an anti-bacterial property that helps fight infections. When added to food, pepper helps clean your arteries by getting rid of excess cholesterol walls. 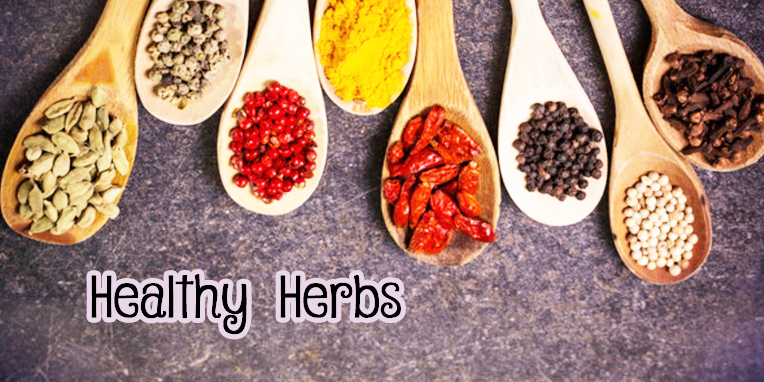 Without a doubt, herbs used as spices offer myriads of health benefits. Note that freshly ground spices have more health benefits compared to pre-ground spices.